When developing a new business, one of the questions that you must ask is what type of entity your business will be. There are many different types of corporations that can be formed, but not every type is right for every business. It is imperative that you choose right corporate structure for your business. Failure to do so can have a significant impact on the life of the business both financially and contractually. When setting up a corporation, it is imperative that you speak with an experienced business attorney to find out which corporation is best for you. Two common types of corporations are general corporations and professional corporations. Each has its own requirements and qualifications to determine which is proper for your business. Both types have their advantages and disadvantages that need to be considered in forming a corporation. The following are the main differences between a general and professional corporations. A general corporation is the most common type of corporate structure. A general corporation is one that is a completely separate legal entity owned by stockholders. There is no limit to the number of the stockholders that are protected from any creditors of the corporation. Instead, the personal liability of a stockholder is usually limited to the amount of investment that was made in the corporation. 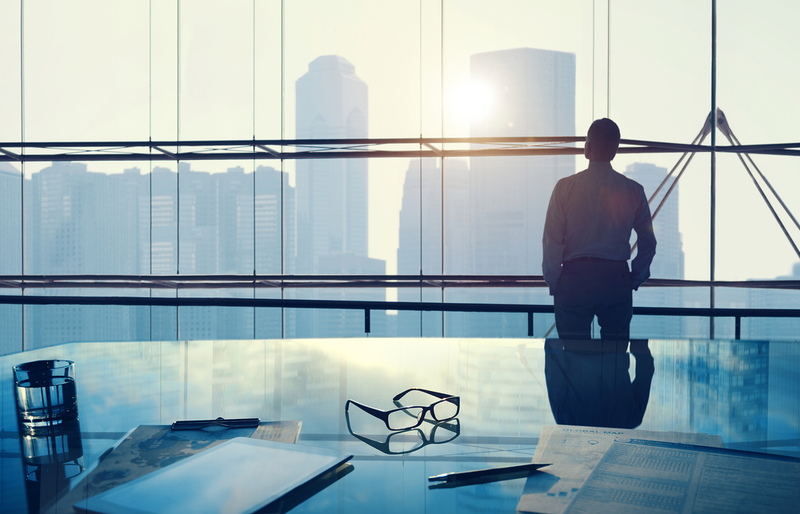 There are many benefits to forming a general corporation. The main benefits include personal protection from debt and liabilities of the corporation, the corporation can outlive the life of its owners, and there are certain benefits that are tax-free. Additionally, transfer of ownership can be done through the sale of stock and ownership does not necessarily need to change the management of the corporation. A professional corporation is one that only performs services in one, single profession. It is a specific type of corporation for professionals like doctors, lawyers, accountants, etc. The professional is able to form a corporation, but the professional remains liable for his or her own actions. However, the professional is shielded from malpractice claims that might be brought against other associates of the corporation. Shareholders are required to hold licenses in the relevant profession of the corporation. There are many benefits to forming a professional corporation. First and foremost, the professionals are shielded from liability from nonprofessional acts. Second, a professional corporation offers many tax benefits. One of these benefits is the ability to deduct fringe benefit plans, like a group term insurance plan, from their tax documents. Finally, there is also free transferability of interests. These transfers are still subject to statutory or regulatory restrictions. Buying a business is much more complicated than simply handing over a sum of money and receiving a business in return. On the flip-side, a seller of a business must do a lot more than just receive a sum of money in exchange for a business. Buying or selling a business involves complex laws and many moving parts. Additionally, there is more than one way to buy or sell a business. The best method to use will depend on the business being sold and the needs of the parties involved. Selling a business is not like other consumer transactions, in which cash or credit is exchanged for a good or service. Instead, there are different methods used, with the two most common being asset sales and stock sales. An asset sale is one in which the buyer purchases the seller’s assets. The buyer is only assuming responsibility for the liabilities that it chooses. If the buyer does not assume all of the seller’s liabilities, then the seller remains liable for them. If the business has shareholders, the seller will usually distribute the proceeds of the sale to the shareholders of the business through dividends or distributions. Shareholders are then liable for the taxes on the dividend they receive. The party selling the business remains liable for taxes on the asset sales, as well. There are some exceptions to these tax obligations in the event the business is a pass through entity, but generally, each party remains responsible for the tax implications on their income. Buyers often prefer this method of business sales. Another method often used in the sale of a business is the selling of stock. In a stock sale exchange, the buyer is purchasing the outstanding stock of the business. Outstanding stock includes the shares of stock that are currently held by the shareholders, the shares that are held by instructional investors, and shares owned by the officers of the company. Like an asset sale, the proceeds of the stock sale are distributed through dividends or other distributions. Often times, a stock sale is preferred by seller. This is because it acts as a “clean break” for the seller’s shareholders. Whether you are considering buying or selling your business via asset sale, stock sale, or another method, an experienced attorney can be invaluable to the transaction. There are many legal challenges that can arise in the buying or selling of a business. Avoid adding extra stress to the situation and hire an attorney at the outset to handle unexpected issues as they arise. The experienced attorney at the Law Office of Kris Mukherji is here to help you from the first step in a transaction through its finalization. Contact us today for a consultation. Whether you are starting a new business or the owner of a successful business that is already established, a successful business needs to have a knowledgeable business attorney. You have taken the time to develop business plans, execute them, and potentially see them result in success. It is important to find the right attorney to help you with all of the legal issues that are certain to arise as you grow your business. Finding the right attorney involves seeking out someone with particular attributes and expertise. 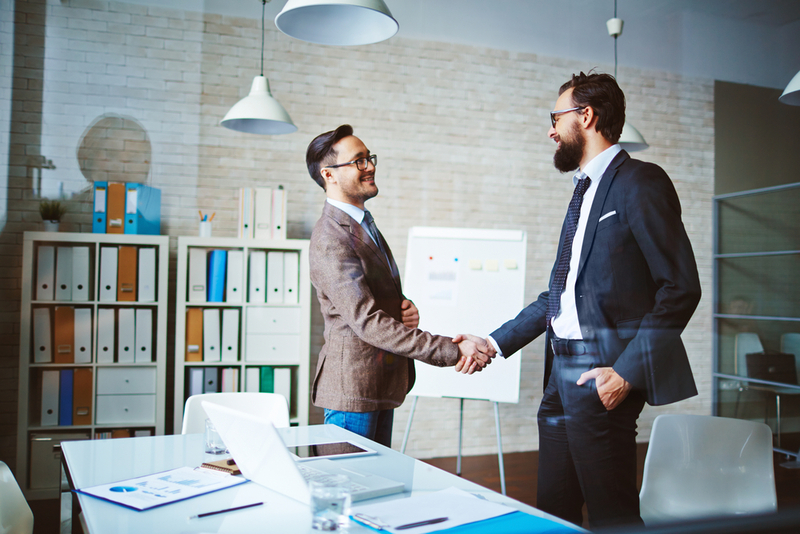 In order to have an efficient and effective attorney-client relationship, there must be a level of trust in each other. Both parties need to communicate the truth to the other at all times. Your attorney should always be truthful with you, but this type of honesty goes beyond simply telling the truth. It involves the attorney being direct in his or her delivery of information. A business can only thrive when the owner is operating with every piece of information. Regardless if its is “good” or “bad” news, your attorney should always tell you what is happening in regards to your business. The legal system operates in a linear fashion. Everything has a process that must be followed. Your attorney should not operate in a different fashion. Knowing that your attorney has a process in place to deal with issues that arise and other steps in the course of business will help you get the most value out of your legal services. You should be aware of your attorney’s strategy for handling your business and if he or she has plans in place for issues or pitfalls that might arise. The term ‘business law’ is vague. From its name, you can assume that it has to do with business and the legal issues surrounding running, owning, and operating various types of businesses. However within that are many, many different areas of business law. There is a wide range of issues and complexities that may arise. Therefore it is important to know that the attorney you are hiring can provide the legal services that you need. The practice should be versatile enough that the attorney can handle the basic needs of your business. As state above, business law encompasses a wide range of topics. While no attorney can be knowledgeable in every part of the law, an attorney with proven success in certain areas can be promising. There is no substitute for experience. Experience results in confidence, knowledge, and knowing the resources available to deal with legal issues. Ask about the areas of business law an attorney has practiced in to be confident that your attorney will be able to competently handle the needs of your business. The business law attorney at the Law Office of Kris Mukherji is here to help you with your business planning needs. With a proven track record of success, Attorney Mukherji is a reputable business law attorney with years of experience. Contact us today for a consultation and get your business law needs to be handled. Corporations are complex entities. There are many moving parts and people that make up the structure of a corporation. One such important group is the board of directors. The board of directors is responsible for representing the shareholders of a corporations. The board also establishes policies and procedures to oversee management and major company decisions that are made. The California Corporations Code Section 300(a) states “the business and affairs of the corporation shall be managed and all corporate powers shall be exercised by or under the direction of the board.” The board of directors is a powerful group of individuals within a corporation. Just how much power do they hold, though? The California Corporations Code can make it seem like the board holds all of the power in a corporation. This brings up the question of whether or not a board of directors must authorize filing a lawsuit that is brought in the name of the corporation. Recently, the California Court of Appeals decided on this issue of authorizing lawsuits. In St. Mary’s Holy Apostolic Church of the East v. Benjamin, a religious corporation was bringing suit against its former board of directors. During trial, the president of the board of directors, who had verified the complaint, resigned. The defendants in this case argued that because the president who had verified the complaint resigned, the corporation lost its standing – meaning that there was no valid lawsuit. The court did not agree with the defendant’s argument. Instead, they quoted precedent that declared, “a corporation has an inherent right to sue without the board adopting a resolution that specifically authorizes the action.” Thereby, the court rejected the argument that the plaintiff lacked standing. Furthermore, the court stated that a “corporate plaintiff is not required to prove it had authority to institute suit.” Finally, a “defendant may waive question regarding right to maintain action if not raised.” A board of directors has a lot of power, but they are not the penultimate ending to lawsuits if there is any change in the composition of the board of directors. In addition to the California Court of Appeals rejecting the argument with precedent, the court also looked at the California Code of Civil Procedure. The Code of Civil Procedure, Section 446 does not require that there be board verification. Specifically, the code states that “when a corporation is a party, the verification may be made by any officer thereof.” In other words, the former president of the board of directors does not invalidate the lawsuit. The business law attorney at the Law Office of Kris Mukherji is here to help you with your business planning needs. Whether you have questions regarding your corporation’s board of directors, pending lawsuits, or any other issue that can arise in the day to day aspects of a business, we can help you. With a proven track record of success, attorney Mukherji is a reputable business law attorney with years of experience. Contact us today for a consultation and get your business law needs handled.